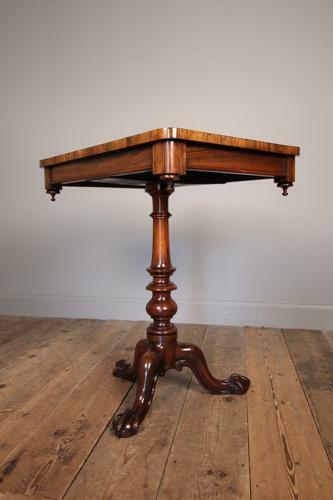 A superb Goncalo Alves tripod table attributed to renowned makers Gillows of Lancaster. Having moulded top and the raised on turned column and terminating in wonderful eagle claw and ball feet. Retaining the original finish with wonderful colour and lustre throughout. English, Circa 1860.